New York Giants defensive tackle A.J. Francis called out the Transportation Security Administration on Twitter Monday morning for allegedly searching his mother’s cremated remains and spilling them in his checked luggage. The tweet included a photo of ashes scattered all over Francis’ clothes with a TSA “notice of baggage inspection” note. According to the Post, Francis posted on his social media accounts that his mother passed away unexpectedly two weeks ago. A TSA spokeswoman, meanwhile, told the Post Monday afternoon that Francis hadn’t spoken directly to them yet. 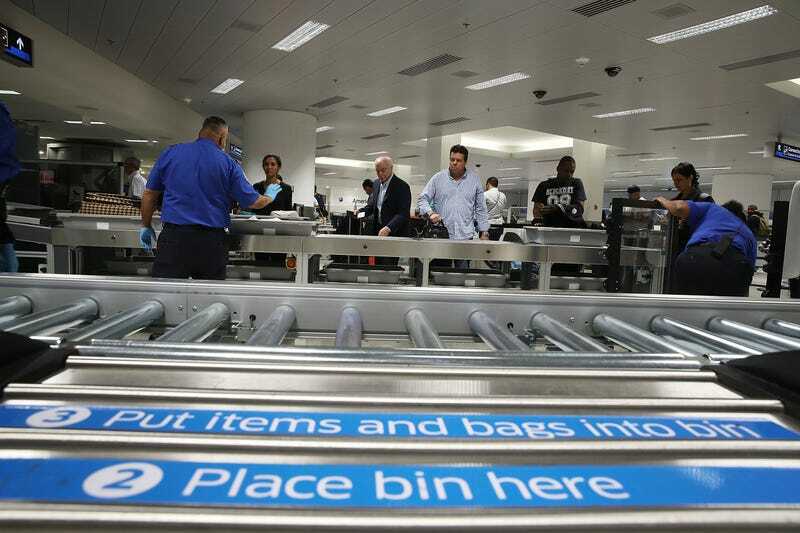 “If Mr. Francis provides us with his flight information, videotape review can help determine what condition the contents of the checked bag were in while it was in TSA’s possession,” the spokeswoman told the paper. It’s unclear which airport Francis was flying from when his luggage was inspected and his mother’s ashes spilled, but the former Washington football player recently traveled to Arkansas to celebrate his mom’s life, and spent some time in California. Francis declined via Twitter to speak to media about the incident. “This is all very raw still,” wrote Francis.